Enjoy the spectacular arrangement of baguette cut diamonds with round brilliant cut diamonds, alternating within a full diamond eternity ring from the World famous Raphael Collection. Enjoy perfection and guaranteed sparkle from this Baguette and Round Brilliant cut Diamond full Eternity Ring. 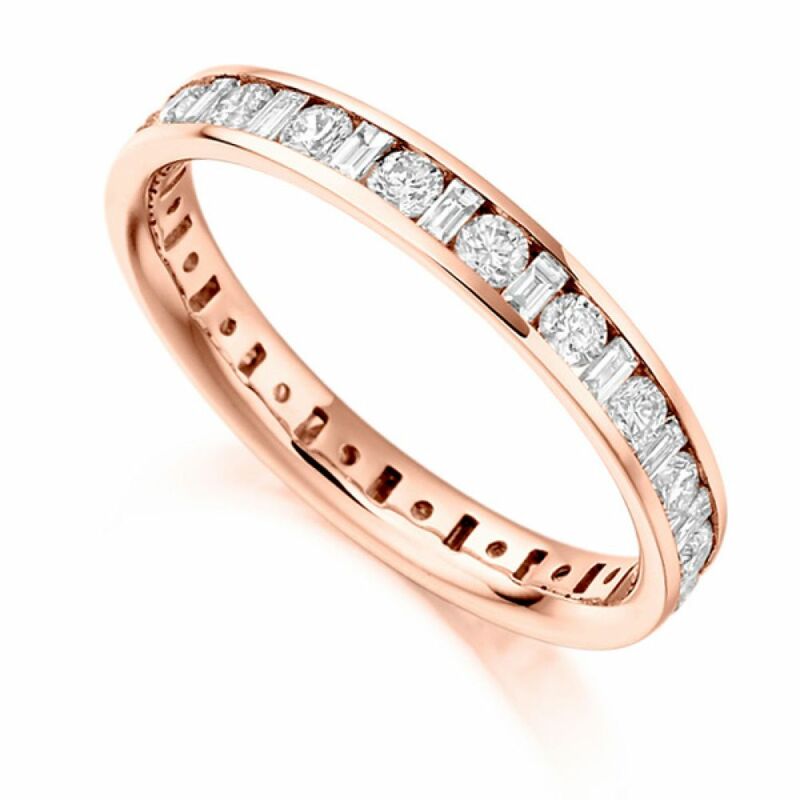 Forming part of the Raphael Collection of Diamond Eternity Rings, this exceptional Diamond Eternity Ring holds over 1 carat of dazzling white Diamonds. Each Diamond features within a precision set channel, with an alternating arrangement between Round Brilliant cut with step-cut Baguette Diamonds. This exciting and unusual combination provides a great opportunity to choose an Eternity Ring mixing two Diamond shapes in perfect harmony. Styled with a 3mm wide band, this exceptional ring design benefits from a comfort fit, perfect for daily wear as a full Eternity Ring or fully set Diamond Wedding Ring. Crafted within 4 weeks, your ring will arrive delightfully presented within luxury packaging with a bespoke Serendipity Diamonds presentation box. 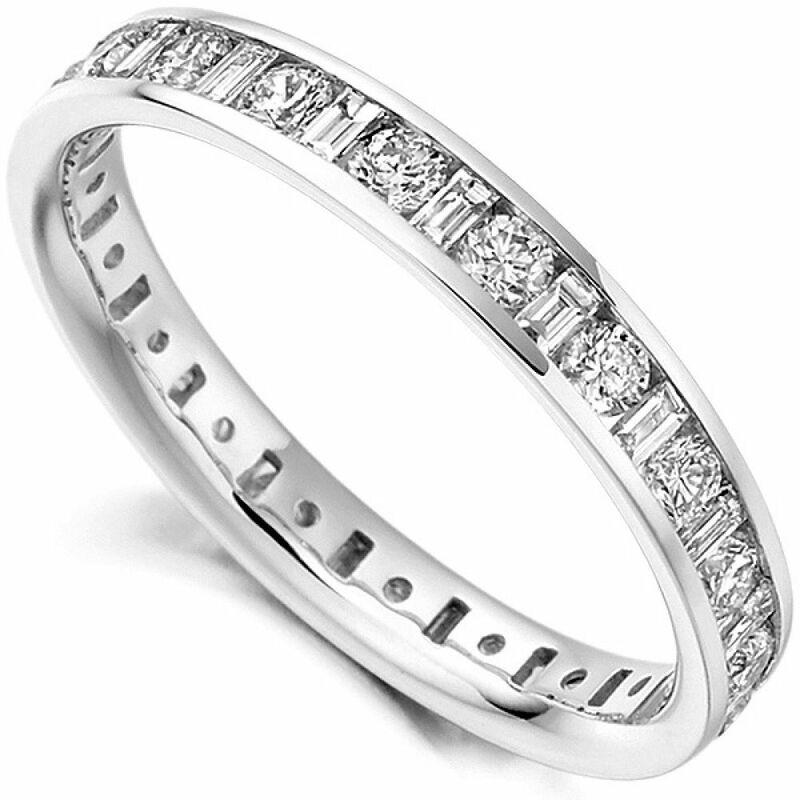 Please talk to us for more help and guidance on any of our Diamond Eternity Ring designs from the Serendipity collection.